Join local actor and playwright Ellen Denny in a reading of her play "Wonder". 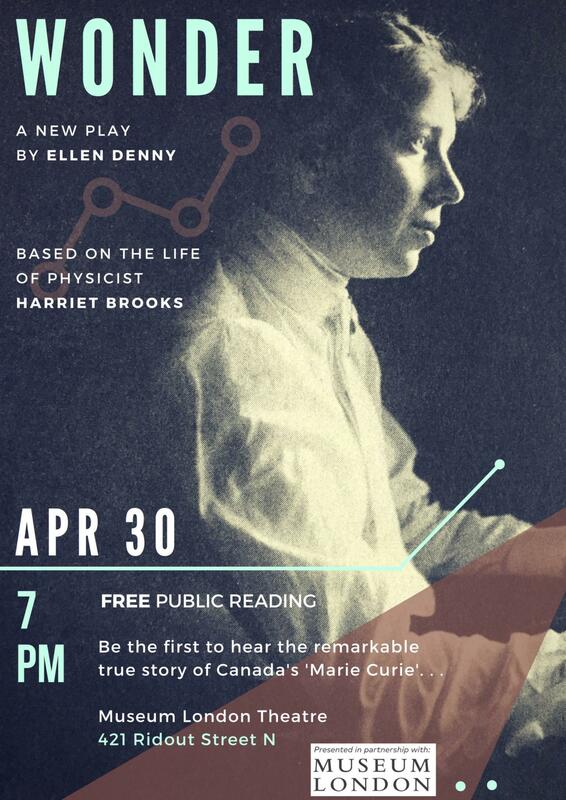 This theatrical work tells the story of one of Canada's first female physicists; Exeter local Harriet Brooks. The play is written and performed by Ellen who is Harriet's great-great-grand-niece. This exhibition will consider what it meant to be female in Canada from the end of the nineteenth century through to the end of the twentieth century.